And now that summer is here, it’s good to know which sunscreens are safe. Click here: Home | EWG’s 2016 Guide to Sunscreens I’d advise that you delay putting on yr sunscreen for the first 15 minutes…just to get some vitamin D naturally before adding sunscreen. Why Is My Neck Problem Causing Low Back or Leg Pain? 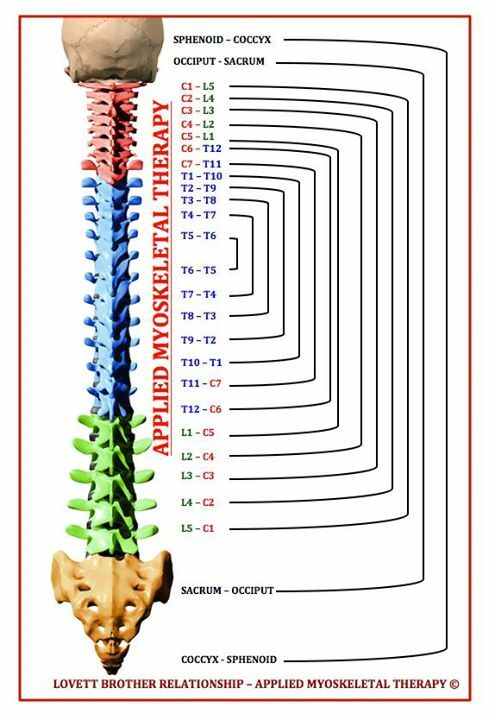 A NYC Chiropractor / Applied Kinesiologist / NKT Practitioner Explains the Lovett Brother Effect on the Spine. It is not unusual to have a patient come in my office with neck pain also complaining of low back or leg pain that starts with or soon after the onset of the neck pain. Or vice versa: neck pain or headaches or jaw problems after the onset of low back pain. A lot of doctors don’t think that there is a relationship. But since they came on around the same time they probably are related. The major thing that could connect them is the meninges; three membranes covering the brain, spinal cord and housing the cerebrospinal fluid. If injured it could affect nerves throughout the spine. A good illustration of how an injury can affect different levels is to hold the upper part of an elastic band with your hand and then hold the bottom of the band with your other hand. Then twist your upper part of the band; note how the bottom of the elastic band also twists. Now imagine how the meninges surrounding a spinal nerve as it comes off the spinal cord can affect the structures innervated by that spinal nerve. 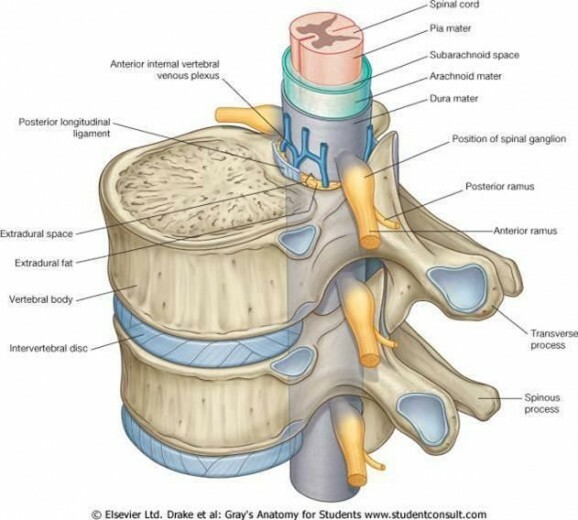 This explains why if there is a rotation in Cervical 1 there will always be a rotation in Lumbar 5, its ‘Lovett Partner’. With all the listings they can work both ways. For example, a dysfunction at L5 can cause a C1 dysfunction and a C1 dysfunction can cause an L5. These relationships are looked at by Applied Kinesiologists and NKT Practitioner. So if you are having unexplained pain in different areas, please consider being examined by someone familiar with the above principles. And please check out the Patient Testimonials page on my web site. Want to be in the know on holistic information and postings? This coming June 5th I’ll be attending a seminar on Whole Detox: How to Thrive in a Toxic World through Nutrition & Lifestyle. 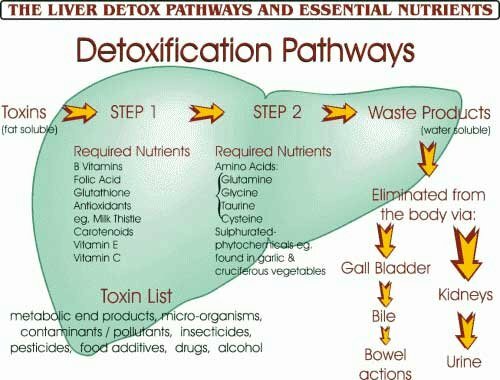 The term “ detoxification ” is widely debated and discussed within the clinical community. In this presentation, the scope of detoxification practices and the spectrum of offerings and their validity will be highlighted. A deeper dive into the recent scientific developments in this pivotal area of medicine will be featured from the angles of both biochemistry and genetic expression, with particular focus on (1) modulation of metabolic biotransformation through phase I and phase II enzyme induction or inhibition; (2) alkalinization; and (3) heavy metal metabolism . Special emphasis will be given to nutrition, nutrient actives, and botanicals for their influence in these pathways. Furthermore, the incorporation of lifestyle changes will be included as part of the detoxification discussion for a more well-rounded, whole picture, whole-self approach. • To learn the importance of addressing lifestyle modalities as part of the detoxification process. Dr. Minich received her doctorate in Medical Sciences (Human Nutrition and Metabolism ) from the University of Groningen, The Netherlands, and her Master’s Degree in Human Nutrition and Metabolism from the University of Illinois at Chicago. She is a fellow of the American College of Nutrition, and a member of both the American College of Nutrition and the American Society for Nutrition Science. Dr. Minich has published over 15 articles in peer-reviewed, scientific journals, and has published three books on nutrition. At Metagenics, Dr. Minich has numerous responsibilities, including counseling patients using functional medicine protocols at the Functional Medicine Research Center®—the clinical research arm of Metagenics. Back in 2010 I posted a blog entitled https://drvittoriarepetto.wordpress.com/2010/01/05/comment-artificial-sweeteners-3-reasons-to-rethink-that-diet-coke/ in which I talked about the “infantilizing” effect on the brains of people who use artificial sweeteners. These sweeteners train our brains to want more sweet foods. Again you are training your brain to want more and more sweet foods and thinking that adding a sweetener to fruit is a good thing. I would rather that people use a less “sweet”product like honey which is only 1.5 times sweeter than white sugar or just start cutting down on your use of sweeteners so that your brain does not crave it. Recently I found an article in Medscape.com which reviews medical research in which David A. Johnson, MD, Professor of Medicine; Chief of Gastroenterology, Eastern Virginia Medical School, Norfolk, Virginia posted an editorial about how artificial sweeteners cause adverse effects on the gut microbiome, increases in hemoglobin A1c, more prediabetes, reduced glucose tolerance, impaired fasting glucose, and increased body weight and waist-to-hip ratios.Click here: Artificial Sweeteners: A Wolf in Sheep’s Clothing?